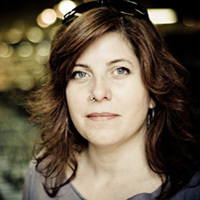 The Grand Prize Judge for the 2016 Tasploitation Challenge is prolific producer Julie Corman. Julie will select the grand prize winner from the Jury Award and Audience Award for Best Film. 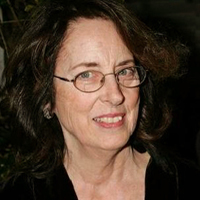 Veteran producer Julie Corman has produced over 30 films. She has worked with noted talents: Martin Scorsese, Jonathan Demme, John Sayles, Monte Hellman, Martin Sheen, Charles Grodin, Ray Walston, Diane Ladd, Phil Hartman, Jon Lovitz, Jonathan Kaplan, Jason Priestley, Barbara Hershey and Mario van Peebles. She has never lost money on a film. Her first feature producing credit was on BOXCAR BERTHA, directed by Martin Scorsese, starring David Carradine and Barbara Hershey. She went on to produce MOVING VIOLATION, starring Kay Lenz and Eddie Albert; CRAZY MAMA, directed by Jonathan Demme, starring Cloris Leachman, Jim Backus, Stuart Whitman and Ann Sothern (chosen as the U.S. entry in the Edinburgh Film Festival); THE LADY IN RED, written by John Sayles, starring Robert Conrad and Pamela Sue Martin (chosen as the U.S. entry at the Deauville Film Festival); SATURDAY THE 14TH, starring Richard Benjamin, Paula Prentiss and Jeffrey Tambor; and DA, starring Barnard Hughes and Martin Sheen, based on the Tony award-winning play. In the 1970’s Corman and her husband, film legend Roger Corman’s New World Pictures became one of the most successful independent production and distribution companies in the film industry. The company produced and distributed over 200 feature films, in addition to distributing a prestigious slate of international films by such acclaimed directors as Francois Truffaut, Ingmar Bergman, Volker Schlondorff (whose TIN DRUM won the Academy Award for Best Foreign Film), Federico Fellini and Akira Kurosawa. After the sale of New World Pictures (the name and the going concern only) in 1983, the Cormans founded a new production and distribution company, New Horizons Picture Corporation, which has proved even more prolific than its predecessor. The library of Corman films now exceeds 450. Julie Corman has produced family films under her Trinity Pictures label. The Academy of Family Film and Television named her “Producer of the Year” in 1996. A CRY IN THE WILD is based on Gary Paulsen’s Newbery award winning novel, HATCHET; and THE WESTING GAME is based on Ellen Raskin’s Newbery award winning novel of the same name. Corman has produced several other family films: THE DIRT BIKE KID, starring Peter Billingsley; MAX IS MISSING, shot at Machu Picchu in Peru and LEGEND OF THE LOST TOMB, based on Walter Dean Myers’ book “Tales of a Dead King” and shot in Egypt. Following on the success of A CRY IN THE WILD she made a series of wilderness films: WHITE WOLVES; A CRY IN THE WILD II, starring Mark Paul Gosselaar and WHITE WOLVESII: LEGEND OF THE WILD, starring Elizabeth Berkley, Corin Nemec, Justin Whalin and Jeremy London. In 2000 Corman became Chair of the Graduate Film Department at NYU in the Maurice Kanbar Institute of Film and Television. While there Corman executive produced a series of short films by NYU film students, REFLECTIONS FROM GROUND ZERO, based on the students’ 9/11 experiences. The films aired on Showtime. Most recently Corman has produced a series of “creature” films for the Syfy Channel with her husband, Roger, most notably the “Sharktopus” series. Corman is a member of: The Academy of Motion Picture Arts and Sciences, Women in Film and the International Women’s Forum. She has given numerous film seminars at NYU, UCLA, USC, UPenn, Yale, Duke, and Sundance. In 2012, she gave lectures in Japan at Rikkyo University and Nihon Eiga (the Japanese Institute of the Moving Image). She has received career achievement awards from USC’s School of Cinematic Arts and Fantastic Fest in Austin, Texas and was given the Indy Pioneer Award at the Kansas City Filmmakers Jubilee. She has been on the jury or chaired the jury of numerous film festivals. Corman was commencement speaker in 2010 for the UCLA (her alma mater) English Department, where she has been a visiting professor in creative writing. She is currently working on the film “Death Race 2050” which will shoot in Peru in February, 2016. The Cormans have reared four children in Los Angeles and tended to a farm in the San Joaquin Valley that contracted with Cesar Chavez and the United Farm Workers. Elizabeth Barsham makes traditional oil paintings of figures in the landscape – but not as you normally see it. Her aim is to reveal the Uncanny inhabiting our island through images that could only have been created in Tasmania. 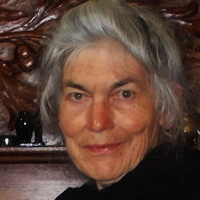 An amateur historian and keen bushwalker with a dark, ironic sense of humour she sees life as a rich source of peculiar objects and incidents she can combine to form unsettling and fanciful images. She has won numerous awards for her paintings, which sell to collectors world wide, and has been a finalist in the City of Hobart Art Award, Blake Prize and Glover exhibitions among others. Her paintings can be read as celebration or criticism, as serious or silly. There is no right or wrong answer; you may see in them what you will. For more information visit her website www.tasmaniangothic.com, follow her on Facebook and subscribe to her blog for regular updates. Sean Byrne hails from Hobart, Tasmania. The Loved Ones (2009) is his first feature and has achieved official selection at over twenty international film festivals, winning the People’s Choice Award, Midnight Madness Category, Toronto International Film Festival (2009), The Siren Award for Best International Feature, Lund International Film Festival (2010), and The Jury Prize at Gerardmer Film Festival (2011). 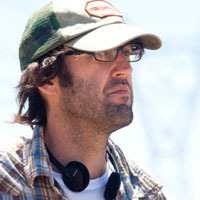 His most recent short Advantage (2007) had its international premiere at the Sundance Film Festival (2008) and has picked up multiple awards on the festival circuit. While doing his Masters at the Australian Film Television & Radio School, Sean received the Australian Directors Guild and Screen Sound Australia Awards for Excellence in Drama Directing for his shorts, Work?, Sport, Sunday and Ben. His latest feature The Devil’s Candy was shot in Texas through Snoot Productions (You’re Next, The Guest, Anomalisa) and will be released in 2016. Director Mark Hartley is a multiple ARIA award winning and AFI award winning filmmaker. After graduating from Swinburne School of Film and Television in 1990, Hartley directed over 150 music videos for Australian and international artists including Powderfinger, The Living End, Sophie Monk, The Cruel Sea, Madison Avenue, Tina Arena, You Am I and Joe Cocker. He received 8 ARIA nominations, winning two statuettes. He also won a Tui for “Best Music Video” at the New Zealand Music Awards and has been nominated for an International MTV Award. 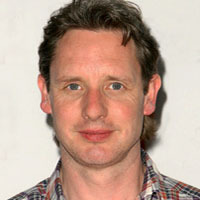 In 2008, Hartley’s debut feature, Not Quite Hollywood, opened the Melbourne International Film Festival before having its international premiere at the Toronto International Film Festival. Not Quite Hollywood won Best Documentary at the Australian Film Institute Awards and Hartley was awarded the inaugural “AFI Documentary Trailblazer” award. Magnolia Pictures distributed the film in the US. In 2013 Hartley directed his first narrative feature film, the gothic thriller Patrick, starring Charles Dance and Rachel Griffiths. Phase 4 Films/Entertainment One released the film in the US. Brett Ratner co-produced Hartley’s latest (and final) documentary feature, Electric Boogaloo. It premiered at the Toronto International Film festival and was selected as opening night film for the 2015 Film Comment Selects festival at the Lincoln Center. Warner Bros distributed the film theatrically in the United States. Fiona started with filmmakers McElroy & McElroy Pty Ltd. in 1980. After serving her apprenticeship in film production for three years working on feature and television productions including Deadline, Return to Eden and Razorback, she left for the freelance world of film and television. Some of the many films that Fiona has worked on in the role of Production Manager include Strictly Ballroom, Crocodile Dundee II, The Last Day of Chez Nous, and many television programmes and series. 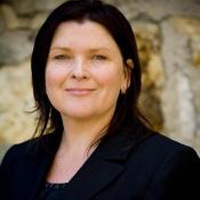 In December 2002, Fiona moved with her family to Tasmania and has continued to work locally, interstate and overseas on film and advertising projects, including as line ;roducer on local productions such as the tele-feature Cable, and more recently docu-drama The Last Confession of Alexander Pearce. She recently produced the award-winning webseries Noirhouse and line produced the upcoming Foxtel drama series The Kettering Incident.